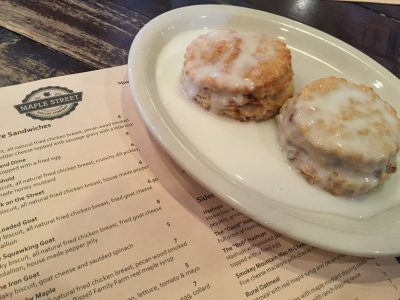 The highest ingestion of calories during my trip to Jacksonville may have been at the delicious Maple Street Biscuit Company. It’s probably a good thing for my waistline that there is no Maple Street Biscuit Company near my home. This mecca for biscuit lovers takes a flaky biscuit, layers it with a fried chicken breast and other toppings such as fried goat cheese medallions, smoked bacon, collard greens and sausage and serves them up piping hot. 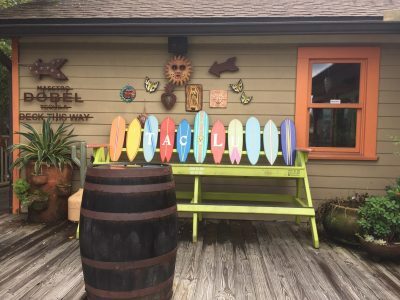 It was just one of the many restaurants that had me logging many extra miles on the beach to walk off the large intake of calories during a recent trip to Jacksonville, Florida. 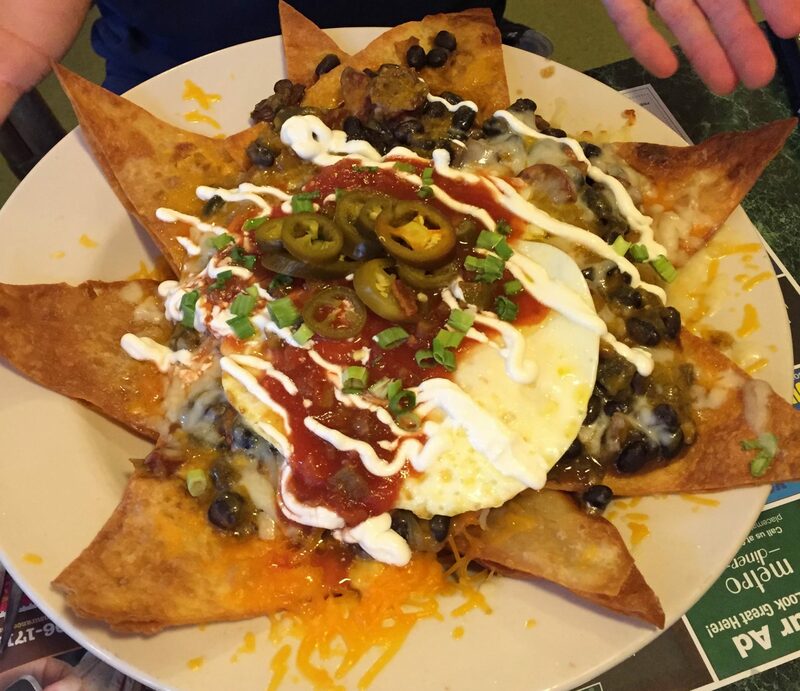 Huevos rancheros at The Metro Diner, a favorite with locals. Get half a fried chicken served on a Belgian waffle with strawberry butter for a truly decadent treat at The Metro Diner, a locals’ favorite. You’ll want to take a few friends of family members along to tackle the giant portions, which take over every inch on space on the large plates. 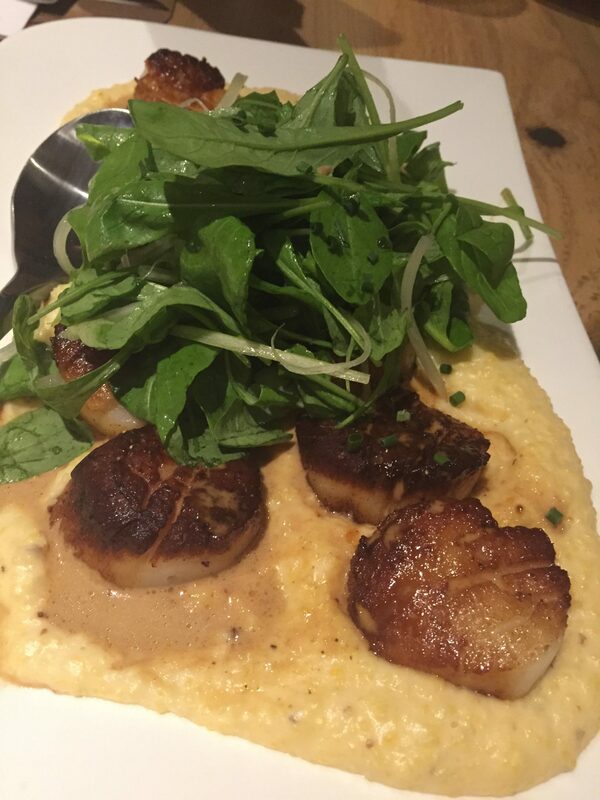 The scallops at Moxie, one of my favorite restaurants in Jacksonville for food and decor. 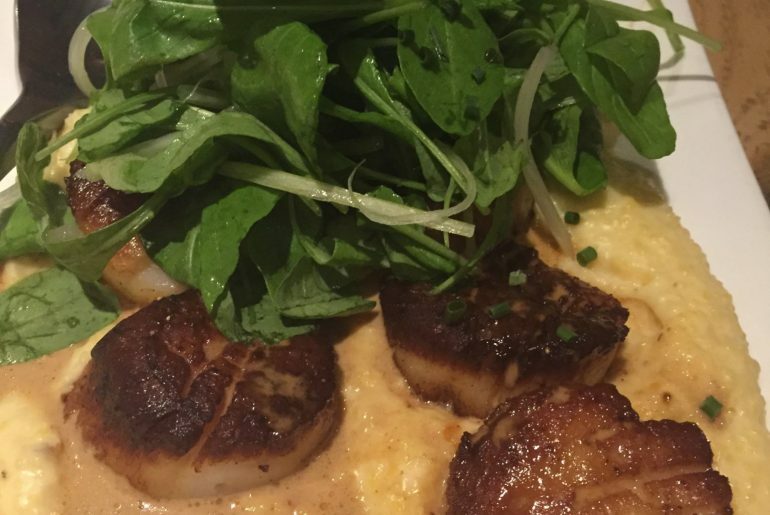 For dinner, try the seared boat scallops with three cheese grits and lobster sauce and melt-in-your-mouth handmade gnocchi with duck confit at Moxie. Forget any pastel beach-inspired interiors — the décor here pays homage to Owner/Chef Tom Gray’s family’s Maine roots, with bar tops made from oak logs felled in Maine in 1899 and furniture made from wood from the 1800s. We stayed at the elegant beachside One Ocean Resort, where we feasted at its signature restaurant, Azurea, on our last night. 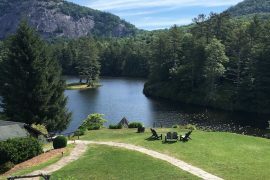 Executive Chef Ted Peters serves delicious New American cuisine with dishes like seared ahi tuna tartare with herb focaccia and caper berries and chive crème fraiche. If time allows, and you’ve put enough miles on the beach to indulge one more time, get a kick out of the funky décor, habanero hot sauce, killer-good margaritas and bangin’ shrimp tacos at TacoLu.